ACET students enjoyed an outdoor class to witness the rare Solar Eclipse. 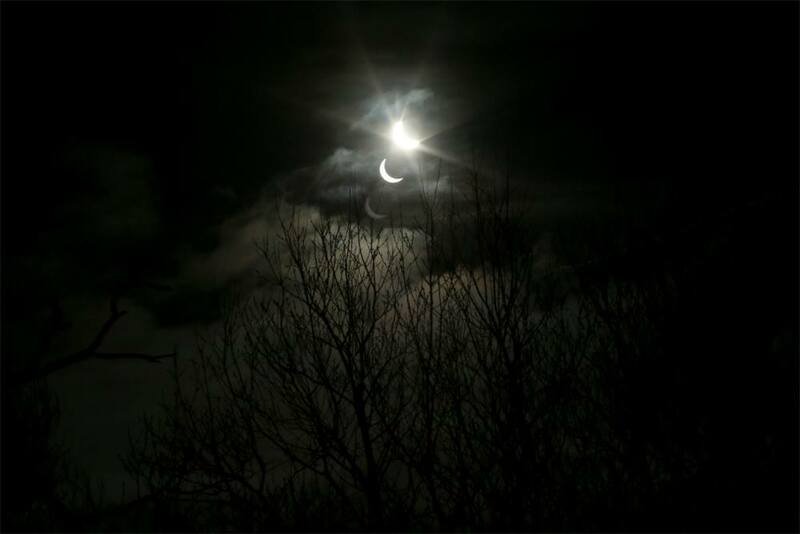 Last Friday 20th March saw the occurrence of a rare Solar Eclipse. Those lucky to be in Cork on Friday enjoyed the clearest viewing conditions for witnessing this rare event. Students at ACET enjoyed an outdoor class in order to witness the spectacle. 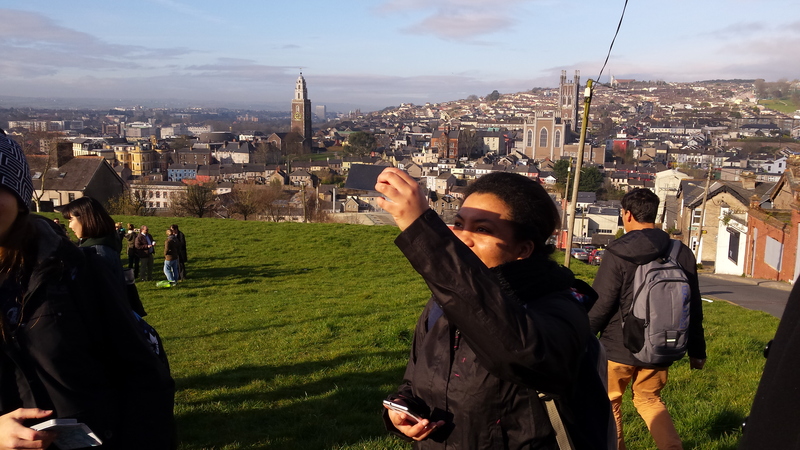 Students and teachers met early at the school and walked the short distance up Patrick’s Hill to an elevated green area that proved to be the perfect viewing point. We experimented with different ways of viewing the eclipse. Camille provided slides of welding glass allowing everyone a glimpse of the action without endangering their eyesight. 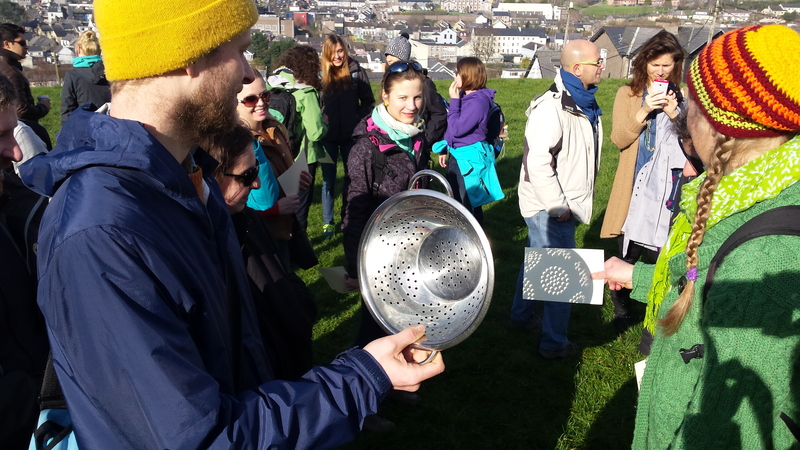 Patrick brought a colander through which we viewed the hundreds of shadows of the eclipse onto a sheet of paper. Others experimented with CD’s and paper cut outs. In addition to the eclipse itself, everybody enjoyed the breath-taking panoramic view of the city skyline. Overall a great morning was had with everybody enjoying their morning outing in the fresh air immensely. We only have to wait until 2026 to enjoy the next Solar Eclipse of this kind, and we are looking forward to it already! 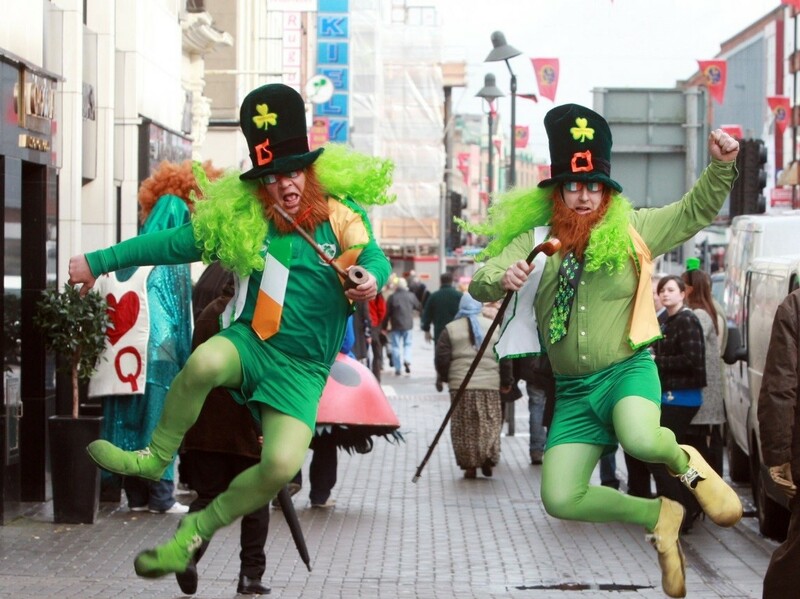 The annual St. Patrick’s Day celebrations kick off in Cork city this coming weekend. Throughout 14th-17th of March the city is guaranteed to be a hive of activity and buzzing with culture.The organisers of the St. Patrick’s celebration in Cork city have prepared an excellent schedule of events that will appeal to all ages. We encourage our students to take part in the festivities and to check out the many free events that are taking place. Our pick of all the activities is the St. Patrick’s Day parade on March 17th. The parade sees thousands of spectators line the streets and entertained by a range of theatrical groups, international bands and various art and community groups. 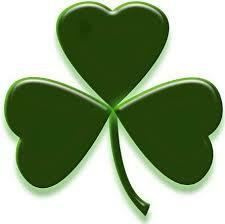 Today St. Patrick’s Day around the world is mostly associated with parades, wacky green hats, shamrocks and Guinness! This modern take differs hugely from the historical religious celebration of Ireland’s patron saint. We have decided to inform you of some of the lesser known facts about St. Patrick. Patrick wasn’t actually Irish. He was Welsh. Patrick was actually a slave. He was kidnapped by raiders from the coast of Wales and brought to Ireland. 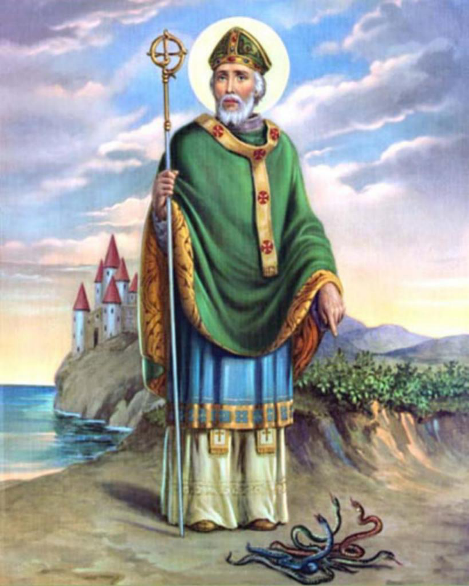 Legend says that St. Patrick drove all the snakes from Ireland. However, there were no snakes in Ireland. The original colour associated with St. Patrick is blue, not green as commonly believed. The Shamrock is not the symbol of Ireland, it is the harp. The very first St. Patrick’s Day parade took place in Boston in 1737. It was organised by a group of Irish emigrants who wanted to commemorate their heritage. It’s unlikely that St. Patrick brought Christianity to Ireland. The first Christian mission to Ireland, for which we have definite and reliable data, was that of St. Palladius. Patrick’s Day was a dry holiday in Ireland until 1970. Today apart from the colour green, the activity most associated with St. Patrick’s Day is drinking. However, Irish law, from 1903 to 1970, declared St. Patrick’s Day a religious observance. That meant no alcohol was served throughout the day. The law was overturned in 1970, when St. Patrick’s Day was reclassified as a national holiday and not a church holiday. Guinness sells about 5.5 million pints of Guinness on any given day, however that figure rises to an astounding 13 million on St. Patrick’s Day. All the team at ACET wish you a great weekend and we hope that you enjoy the festivities! 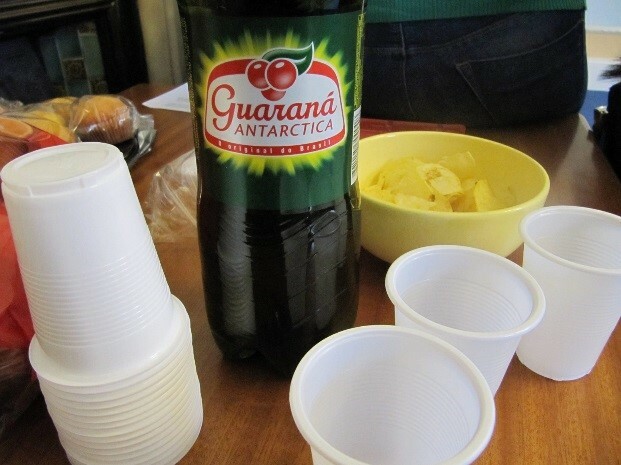 Last Friday, a Brazilian Culture Day was held at the school. 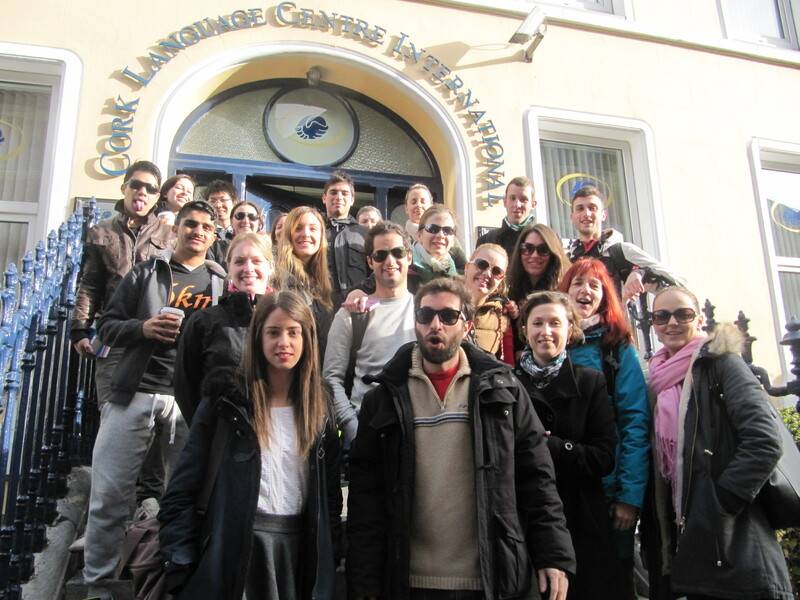 The aim of the day was to explore and celebrate aspects of Brazilian culture right here in the middle of Cork! As part of our Brazil Day everyone in the school was encouraged to wear Brazilian colours, so green and yellow dominated throughout the school for the day! Throughout the day we sampled some Brazilian treats and our students from Brazil were delighted to have a day at the school in celebration of their culture. 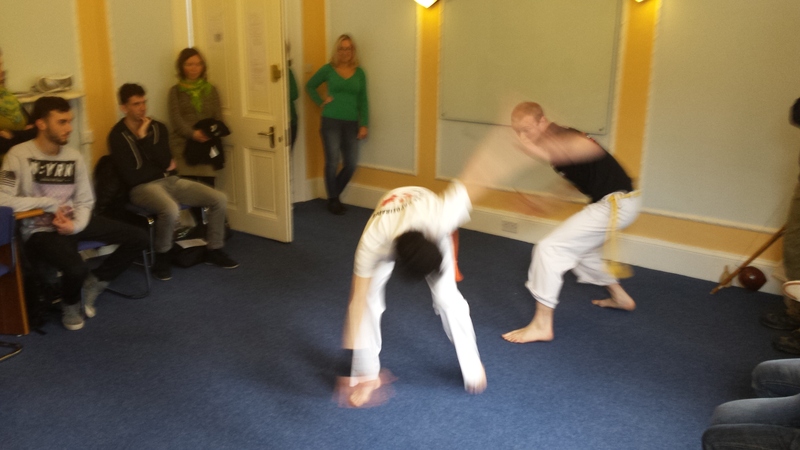 The highlight of the day was Patrick’s Capoeira demonstration in The Wellington Room after class. 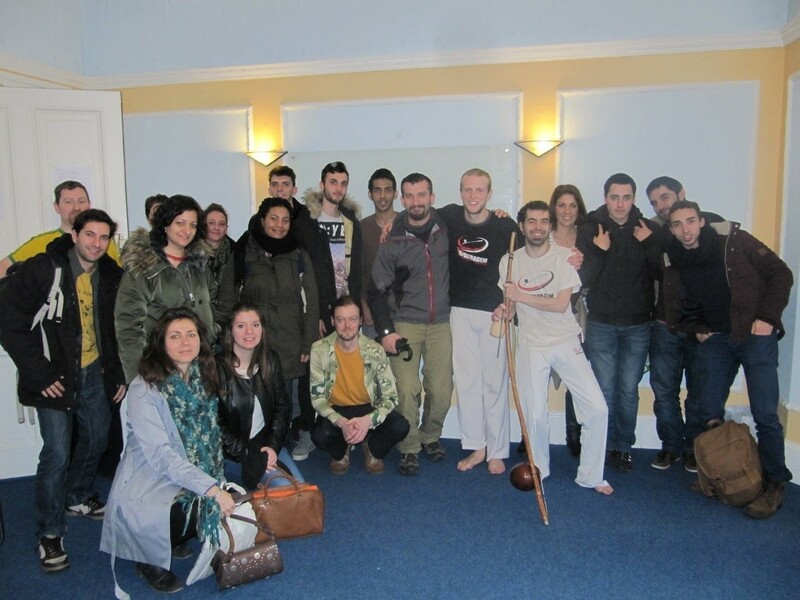 Patrick from our teaching staff is a Capoeira enthusiast and participates at national level for Ireland. He gave an enthralled audience an insight into the history and background of Capoeira followed by an impressive demonstration with his sidekick, Gringo. Those in attendance got an impressive display of the martial art and some students even expressed interest in taking up Capoeira as a result! 50 of the Best West Cork Photos.